A draft list of axiophytes is currently being worked up. While this is not something that other members can currently be involved with you may wish to check out the Axiophyte page of this website for more information. 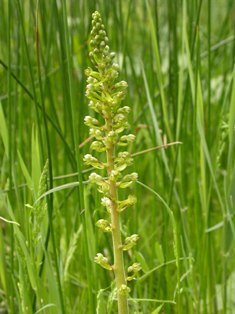 Visit the County Recorder's blog: 'Botanising in Huntingdonshire, Yorkshire and Beyond'. A full checklist of Huntingdonshire, reconciling all the lists and Floras that have been published previously. This section aims to periodically provide detailed accounts of the flora present at sites of interest to local botanists. It is hoped that these lists can be used to help monitor these sites and to stimulate further detailed study and recording. The first site to be addressed is Paxton Pits, a diverse site with important populations of locally and nationally uncommon or declining native species along with a diverse and regularly changing neophyte flora. 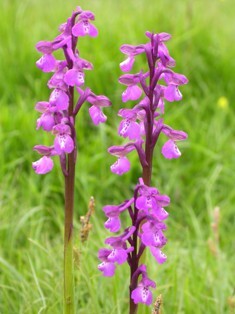 At present, I have avoided providing detailed locations for specific plants, part of this is laziness on my part (this information is held in the County database and can be made available) but at the same time I also wanted to provide a resource for the botanist rather than the 'twitcher'. *NEW* Now available: the Rare Plant Register for VC31 (2019 update). The County Recorder would welcome any additional records of these species. There have already been many significant hectad updates and range extensions for a range of species. Work continues a pace to undertake as much recording as possible before the end of the current date class. For those interested in helping with 'square bashing', recording forms can be downloaded from the Resources page of the website.